Home > LOAN - CIBIL > Loan - SIX tips to choose the right lender..! 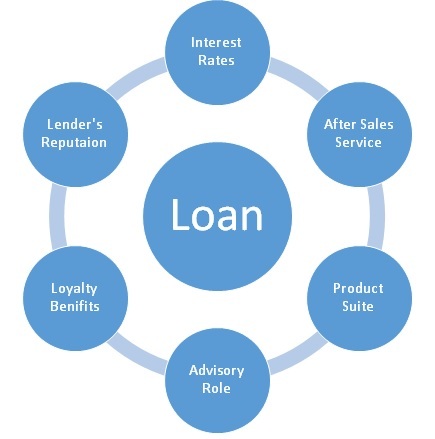 Loan - SIX tips to choose the right lender..! Six tips to choose the right lender..! How to choose the right lender for us? Nowadays we all know how lenders are so eager to give us loan. They all claim that they are ready to serve you. But in reality it is different. Hence, let us undrstand of how to chose the right lender for yourself. Gone are the days when banking used to be intimidating and banks used to pride themselves on maintaining high walls between themselves and the customers and throw a bunch of jargon and paperwork for any banking related issue. In this day and age of digital disruption, banking has gone through a sea change and banks must comprehend the needs of the customer. Banks must act as a facilitator and a solution provider to each and every financial need of a customer and build a relationship and its own capabilities in manner so as to provide for his future financial needs. Needless to say that in this situation, you the customer are indeed the king as you are in a position to make the choice of the right lender according to your needs. Especially if you have made an attempt to increase your CIBIL score, and have a credit score of 800 (out of 900) and above you are at a vantage point. Making the right choice as far as a lender is concerned has assumed immense significance in this day and age when our lives revolve around credit. If you are availing of a credit line you are willy-nilly entering into a long term contract with your lender and thus it is necessary that you are on the same page so that you do not receive any nasty surprises later. So here ae five tips to choose the right lender for yourself. 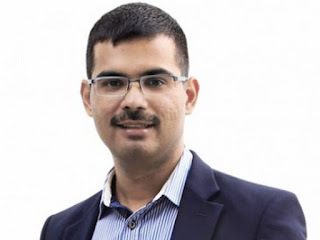 It is ironical that in India, while selecting a loan product such as a home loan, a customer tends to look for interest rates as the base criteria makes the selection based only the interest rates that the lender may be offering. But as a consumer it is highly important for you to bear in mind, that the best interest rates may not always mean the best service standards. There are many other parameters that should be part of your evaluation process. As a customer, you must also be clear about the fee structure that the lender shall be charging you. If a lender is not being upfront about the various fees that it intends to charge or is evasive when asked about fees it is a clear indication to stay away. You may think that with a loan product, the after sales service does not really matter, but that is where you are wrong. Whether it is an easy personal loan that you have availed of from the lender or a low interest rate credit card, the after sales service is of high relevance to you. The responsiveness to customer queries and standards to serve them after the sales has been done is of pivotal importance, as you may wish to foreclose a loan or may run into financial trouble that may force you to alter the repayment clause on your original agreement. Before deciding upon the right lender it is important for you to assess how willing the lender is to keep the communication channels open after the product has been sold. Modes of communication, TATs, services available through self- help on online account etc can be a few factors that can make consumer’s life easy post disbursal of loan. A bank or / a lender these days must be capable of offering a full range of financial services. While seeking out the right lender, do not have a myopic view and concentrate on low interest rates on the home loan, auto loan or personal loan product that you are opting for at the time being. Do enquire if your prospective lender is equipped to support your other financial ambition and is ready to step into an advisory role to help you chalk out a financial path and help you with the right investment products along the way. This way you would be able to leverage the relationship more effectively and get the services from one financial institution. Once again you credit score will determine whether or not you are creditworthy enough for the lender. If you have made a conscious attempt to improve CIBIL score your lender will certainly want to hold on to you than go through the trouble of looking for new customers in lieu of your loyalty. In such cases ask your lender what your loyalty means to it and whether you are eligible for discounts if you bought other financial products from them. The idea is to find out what kind of value added services a lender is willing to provide overall if you pledge loyalty to them. Lastly, but not the least, in this modern day age of hyper- connectivity, it is easy to check out the reputation of the lender online. There are various online forums that can lead you to real customers who can testify about their experiences and give you an objective opinion. It is also a good idea to have a face to face interaction with friends and relatives who may have recently availed of a loan product from the bank and his or her level of satisfaction with the service standards of the bank. Usually a larger institution that has a considerable experience in the business turns out to be the reputable in the business. A little curiosity can go a long way in deciding whether or not a lender is right for you. So exercise your rights as a customer and make a right choice as far as your lender is concerned. Mr. Arun Ramamurthy – Director, Credit Sudhaar and Co-author of “Unlock the Power of your Credit Score”.